My South Africa pictures shall give you some insight into the beautiful landscape of this country. The light in South Africa is extraordinarily bright and clear and gives you the opportunity to take striking African landscape photographs. In this South Africa pictures gallery I want to show you the magical South African landscape with blue skies, lush greens and deep brown or reddish rocks and soil and clear outlines. The color palette of South Africa includes the warmer colors so many different tones of golden ocres, terracottas and rusty colours. The blue of the sky is also magically intense. Did you know that one research team in the UK claims that the Cape Town sky is the fifth bluest sky in the world! Well, see for yourself in these stunning South Africa pictures. 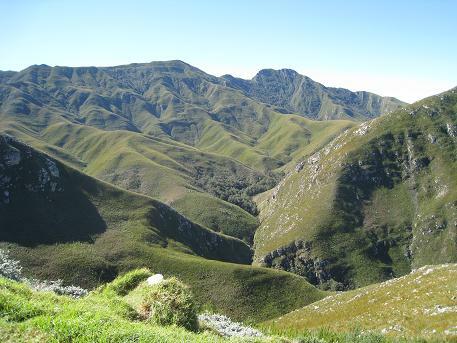 A trip from Cape Town along the Garden Route to Knysna rewards you with great scenic views. Should you drive a little more inland through Worcester you have to cross the Hottentots Holland Mountains. These are rugged mountains or hills (they are more like hills if you come from my part of the world) covered with fynbos and protea which bloom in glorious yellows and reds in October and November. 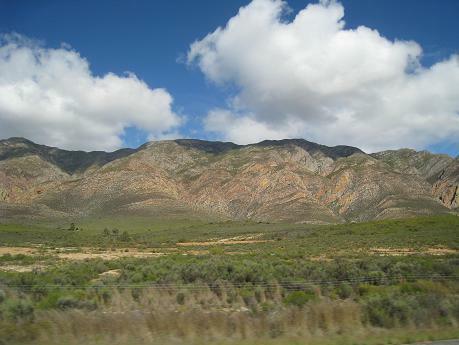 Another trip from Cape Town along the Garden Route can take you to Oudtshoorn, which is a town in the Little Karoo, approximately 450km or a four hour drive to the NorthEast of Cape Town. Oudtshoorn is the ostrich capital of South Africa. So should you go there to visit the Ostrich Farm is a must. There is also a crocodile farm and a huge game park. Wilderness is a popular seaside resort at the Garden route. It has a pretty lagoon and is a good place for family holidays. No wonder it is very popular by Capetonians to go there during school holidays. 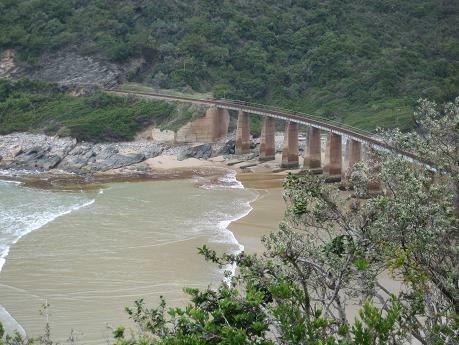 The famous Outeniqua choo-tjoe train however which run from George to Knysna via Wilderness is currently suspended due to massive damage to the rail-track during last summers rains. Hopefully it will run soon again as we had a lot fun taking the trip from Wilderness to Knysna a year ago. 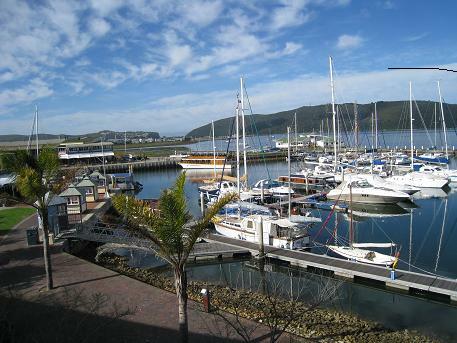 Knysna which is a five and a half hours drive from Cape Town has got a great seaside holiday atmosphere too. The Knysna Heads as well as the lagoon and nature parks are very picturesque and make for great South Africa pictures too. 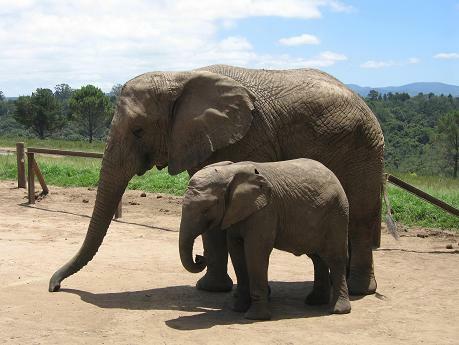 ExpatCapeTown Tip: Do not miss out on the nearby Elephant Sanctuary, where you can be up close with these majestic animals. 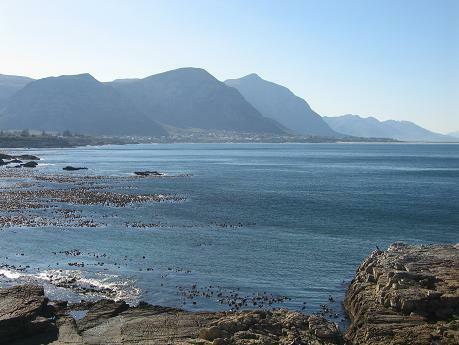 Hermanus is the top land based whale watching spot in South Africa. This is a wonderful little seaside town a mere two hours from Cape Town. Whale watching can be done between June and November from the beach and the 12 km long cliff path as well as with guided boat trips. It always amazes me how close the whales come out to shore and makes you marvel at Mother Natures creatures when you see these gigantic mammals swim, wave and bowing fountains of water. Please feel free to contact me if you want to share your South Africa pictures and African travel photos. I will add great pictures gladly, so other readers can enjoy the magic of the South African landscape too.